Come on out for a fun day filled with fine arts, craft vendors, live music entertainment, dance performances and food trucks! Enjoy live music provided by the bands Beartoe, Are Friends Electric, The Transfers, Andrew Williams Band and Johnny Odis. Additional entertainment will feature performances by local dance groups and organizations, including Quanita's Latin Dance & Ballroom, South Beach Dance Academy, and the St. Demetrios Greek Church Dancers, to name a few. 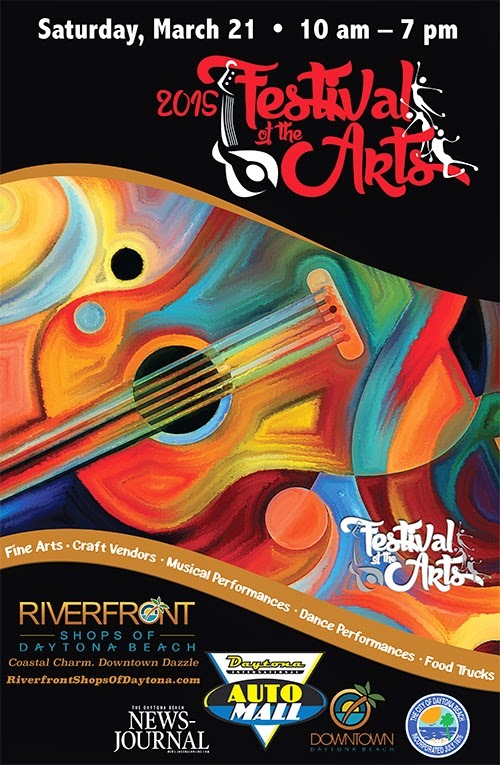 The Riverfront Festival of the Arts is part of the Downtown Daytona Signature Events series and is presented by Daytona Auto Mall and sponsored by the Daytona Beach News-Journal, Riverfront Shops of Daytona Beach, City of Daytona Beach and the Daytona Beach Downtown Development Authority.